The solid silver dial is finely blasted. The chamfers of the subdials are diamond-polished and rhodium-plated. The moon phase is displayed at the small seconds dial, the declination angle is at 12 o’clock on the opposite. The earth and moon disk is cut in gold and enameled with the “champlevé” technique. The date and days of the week are at 3 o’clock, the following month is at 9 o’clock symmetrically. 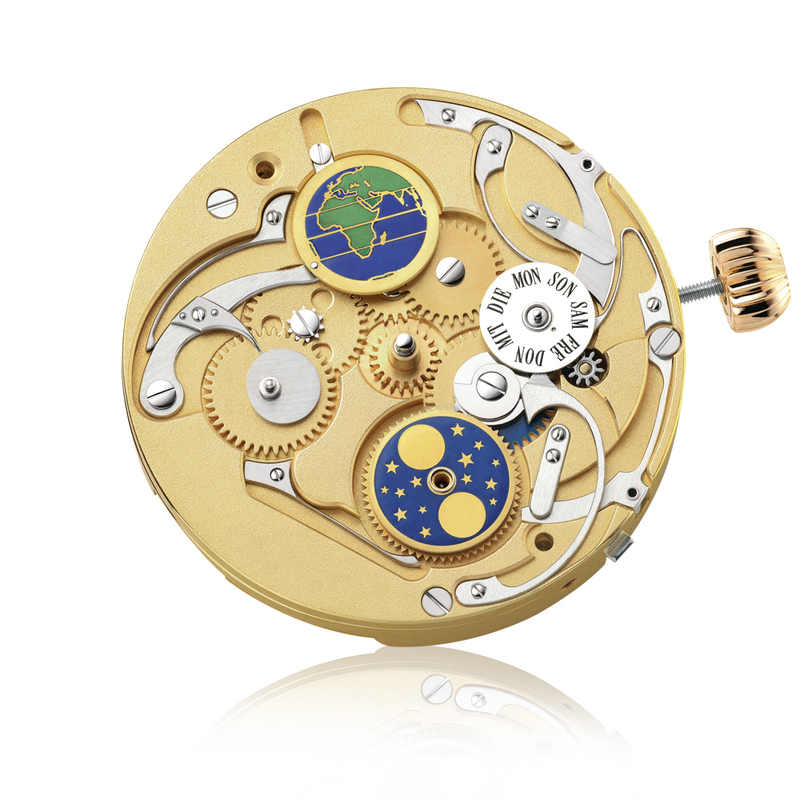 The model is completed with the day/night indication in a polished gold chaton near the center. With our MORITZ, you can freely choose your hand types, strap color, buckle type and caliber engraving as you wish. Each watch gets its own number that is engraved on the movement. You will receive an incomparable and unique piece of art. Whether masterfully hand-engraved as Louis XV or filed and polished to perfection as spade or cathedral hands - you decide! We are happy to advise you on the possible variants!